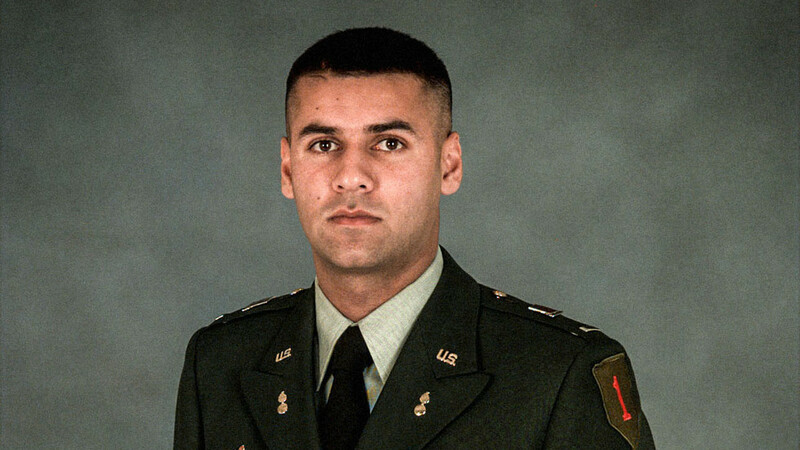 Hero United States Army Captain Humayun Khan was killed by a car bomber in Iraq on June 9, 2004. 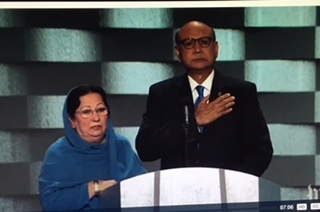 At the Democrat National Convention, his father Khizr Khan, with his wife standing by his side, spoke of the pride he had for his hero son and asked Donald Trump if he has ever read the constitution [regarding Trump's call for a temporary ban of all Muslims "until we can figure out what the hell is going on"]. In the most powerful moment of either convention, Khizr Khan then took out a copy of the constitution he had in his pocket and told Donald Trump he could have it, so he would learn what is in it. Sorry Trump fans, you can make excuses for him, but that was a sickening thing to say about a family that had lost a son in Iraq, serving our country heroically. You can say, it is refreshing he talks in a politically incorrect way...I call it being a jerk. I know just by pointing this out I will be attacked by the Trumpers telling me, "oh, so you're for Hillary". I am ashamed at what is happening to the party I have been totally supportive of for the last 40+ years. Totally agree Mr B. It really boggles my mind how divided we are. I just find the USA is faced with the worst choices ever. Thanks Krissy! I hope you are doing okay- I was praying for you! God bless!